Ferrari factory original Ferrari postcard World Champions 2000. 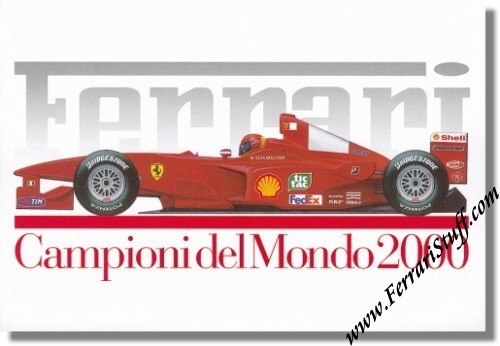 This postcard shows the championship winning Ferrari F1-2000 Formula One car. It measures approximately 6 x 4 inches or 15 x 10 cm. 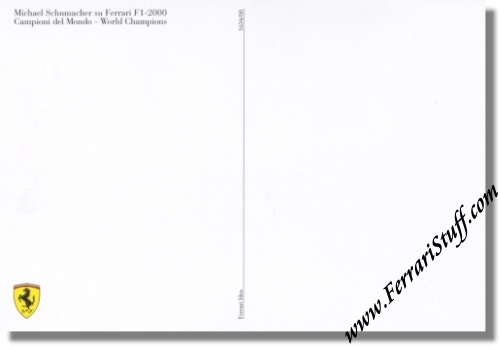 Ferrari Print Number 1634/00, issued in 2000.